We offer a multitude of breeding and meat livestock. 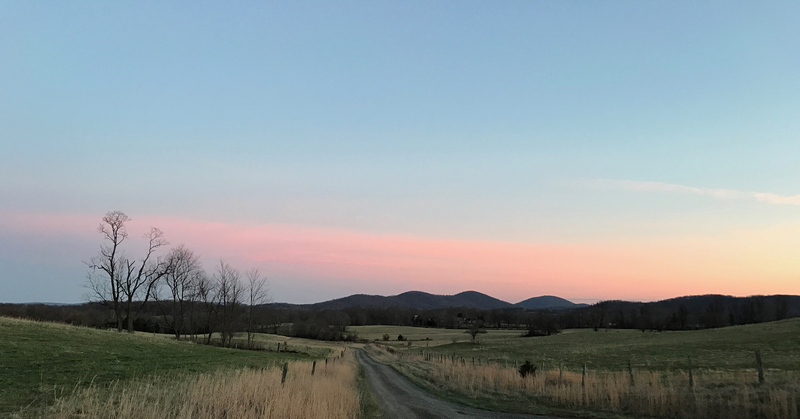 Hidden Creek Farm, located in Delaplane, VA, is a Humane Certified and Organic Certified working conservation farm using regenerative and sustainable grass-and-forest pastured practices for livestock management and organic seed-to-harvest practices for our produce and herbs. 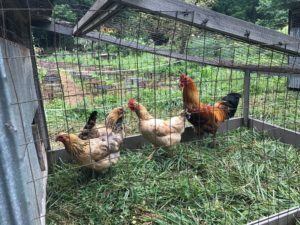 Hidden Creek Farm also offers a selection of delicious Value-Add products and fun/educational workshops and visits for individuals and groups. 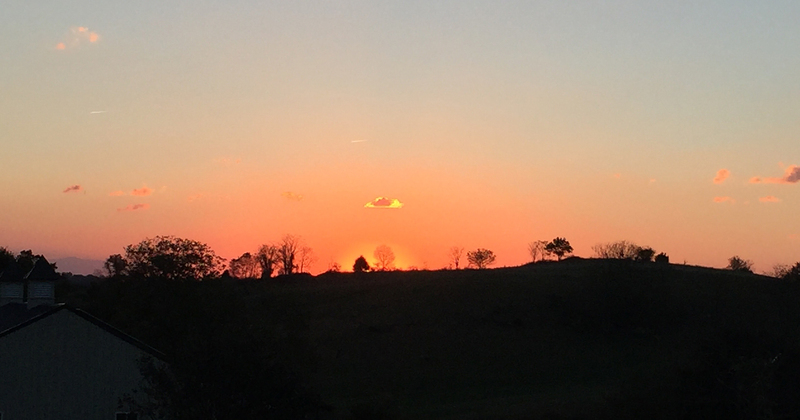 Hidden Creek Farm is located less than one hour from Washington, D.C. in the stunning Crooked Run Historic Agricultural Valley of Fauquier County, VA, just minutes from first class vineyards, historic battlefield sites, and superb restaurants. Deliver Local~Wholesome~Good products to end-consumers and breeders. Provide exceptional and meaningful Quality-of-Life experiences for our livestock, customers, Team, visitors, and family. Use innovative and smart processes to create humane, healthy, and productive practices. Stewardship of these lands, and improving them for the next generation, is a responsibility we cherish and take pride in. We believe that we are in service to these lands and our broader community rather than the other way around. 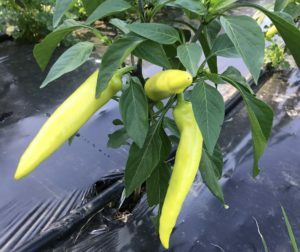 Nurture a regenerative and healthy environment that keeps nutrients on the farm, protects watersheds and natural spaces, creates wildlife and pollinator corridors in harmony with domesticated livestock and produce, and returns carbon back into the soil where it belongs. Build a great Team, offer high-quality products, connect people to their food and seed-stock, conservation of land and breeds, support community and farmers, share our knowledge, learn and innovate, pay-it-forward, treasure life and our fellow travelers. A dual-purpose cattle breed known for excellent, highly marbled tender meat and rich milk. Originally from England, the breed is now threatened and listed on the Livestock Conservancy. Hidden Creek Farm is developing the Tamalitsa™ breed of hog in a Green-Pastured™ forest and sylvopasture environment. The meat is tender, succulent, and more moist than most other pasture raised breeds. An American-bred, medium sized sheep with excellent, mild meat quality, easy handling, outstanding pasture growth, and easy lambing characteristics. 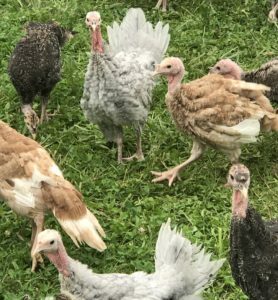 Our large flock of mixed layers includes Barred Rock, Sexlinks, Auracanas, and the newly developing, predator savvy Shenandoah breed of hens and select roosters. We raise heritage birds in two ways. The broad breasted types are pasture raised with protective fencing and are moved into new pastures every week. The leaner, more 'wild' heritage birds roam the property as they choose. 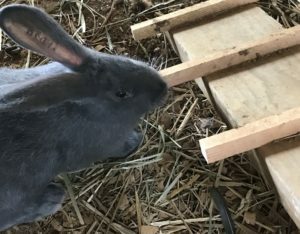 Hidden Creek Farm raises pastured pure bred Silver Fox rabbits and a specialty breed of large brown rabbit started at Polyface Farm. Rabbits are sold as pets, for meat, and as breeding stock. A dual-purpose cattle breed known for excellent, highly marbled, tender meat and rich milk originally from England. 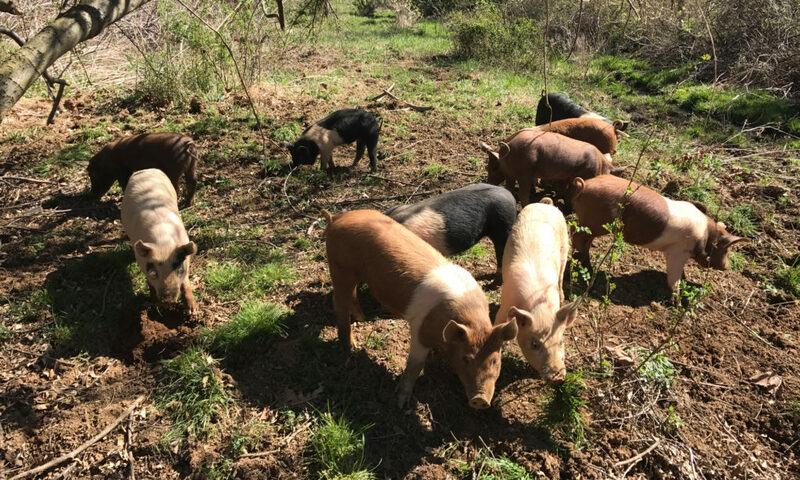 Hidden Creek Farm runs Berkshire, Hampshire, Duroc and Tamworth cross hogs in a Green-Pastured™ forest and sylvopasture environment. Mushroom content goes here. Mushroom content goes here. Mushroom content goes here. Mushroom content goes here. Ginger Root content goes here. Ginger Root content goes here. Ginger Root content goes here. Ginger Root content goes here. Fresh Herbs content goes here. Fresh Herbs content goes here. Fresh Herbs content goes here. 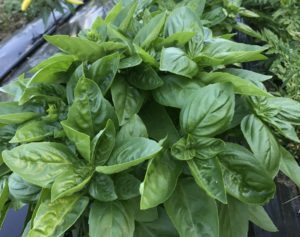 Fresh Herbs content goes here.